When I first began looking for options to create this website, I started where many educators looked. I asked our tech department and they immediately pointed me to Google sites. It didn’t take very long for me to realize that google sites was incredibly limited regarding what I could actually do and how I could setup my site. That being said, it was also incredibly easy to use. It was a simple drag and drop. I began to search for something more robust, and came across many different platforms. Wix, Weebly, Squarespace, just to name a few. Many of these options are great for most users. They are slightly more complex than google sites, but certainly more robust. The primary issue I had with all of these website builders was that I was still slightly limited in some options, but more importantly, I didn’t really own the site. These website builders all have one commonality among them. They are all proprietary. Once you begin working with one, you are stuck with it unless you want to move to a different platform (or host in some cases). This is where WordPress steps in. 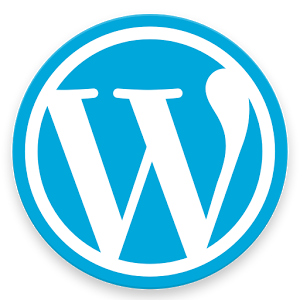 WordPress is by far the most complex of the options, but it also allows the greatest flexiblity. In order to get the most out of wordpress it is handy to know a little HTML and CSS. This wasn’t a strength of mine, but I’ve been able to figure things out through trial and error. One bit of advice, is don’t make your site live until you are ready to do so. You can preview pages as you build them out. Lastly, I highly recommend you get your own domain name. It is easier to remember, and looks more professional. As Educators, there are several places you can register a domain name for free. I use Bluehost for my name registration (although I don’t use them for hosting). How flexible does it need to be? Where will I host, and can I easily move to another host if I don’t like this one? If you start with these questions, and do a little research first, you will find building your site to be much easier in the long run.